With our affiliate program, you earn a commission when someone enters Canvas On Demand through a link on your website and makes a purchase up to 60 days later. It's that simple. We will provide all of the banners, logos and text links for you to participate. All you have to do is choose which ones will work best on your site. With Sales averaging over $100 and excellent conversion rates, you'll be making money in no time! We will provide you with all the text links, images and banners you will need for your website. Not only that, we will share with you what we know about which links work best. As an affiliate, you will receive our periodic affiliate newsletters which will contain marketing tips and helpful hints about the best way to use our links. And we will keep you informed of all upcoming specials and promotions so that you can make the most of your program. 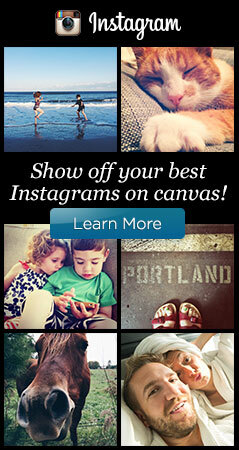 To learn more about our affiliate program, email us at affiliates@canvasondemand.com. We look forward to working with you! Have questions? Fill out this form and a representative will email you back shortly.